When it comes to European Politics it's important to not rule out a deal until it happens. But signs point that way now. 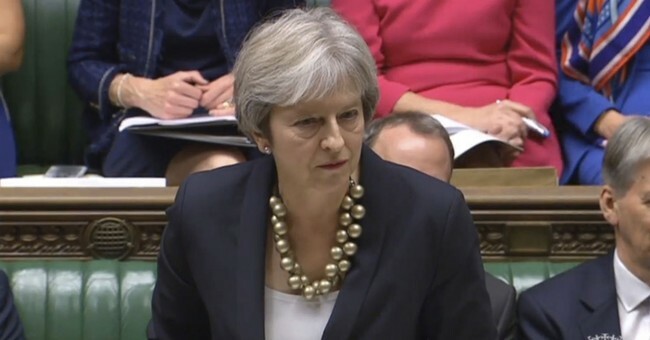 Theresa May totally blew it today in front of UK parliament and the British nation. May blamed MPs, the public, and the man in the moon so to speak for her disastrous and piss poor negotiating tactics. The Guardian reports Theresa May Says High Time MPs Vote for Her Deal. Who On Earth is Advising Her? That is the question of the day even though the answer is obvious: No one. Theresa May has listened to no one for two years. Their outward styles are vastly different but they are from the same mold internally. It's my way. I don't give a damn what you think. It's your fault for anything that goes wrong. I accept no responsibility. Blame everyone else so much that a deal becomes impossible. Curiously, if it turns out there is indeed a no-deal Brexit, May will at least have take actions that will serve the UK well in the long run. The same cannot be said for Trump's tariffs. But don't count on it yet. It ain't over till it's over.